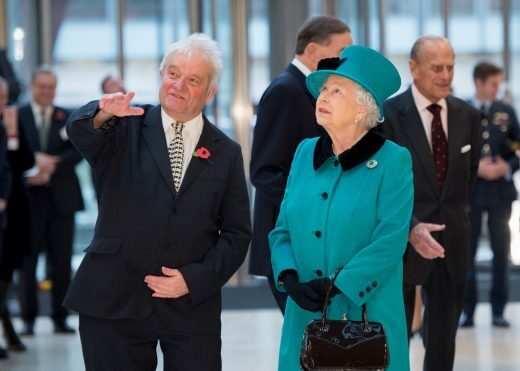 On Wednesday 9 November, Her Majesty Queen Elizabeth II and His Royal Highness The Duke of Edinburgh were welcomed to the Francis Crick Institute to officially open the new building. Completed in summer of 2016, the Francis Crick Institute is a 980,000 sq. ft. biomedical research facility bringing together 1,250 scientists from a wide range of disciplines under one roof to analyse the biology underpinning human health and diseases. Designed by HOK with PLP Architecture, the eight-storey building is arranged as four “laboratory neighbourhoods” with multiple communal breakout spaces arranged around two intersecting atria that encourage interdisciplinary collaboration. The building has been designed around the concept of openness and collaboration. Interlinked floor plates and bridges increase the opportunity for interaction between departments. 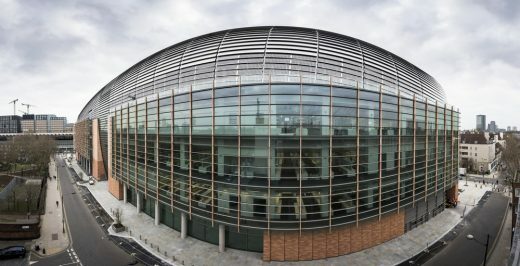 The Francis Crick Institute is the result of a unique initiative supported by six founding partners: the Medical Research Council, Cancer Research UK, Wellcome, UCL (University College London), Imperial College London and King’s College London. 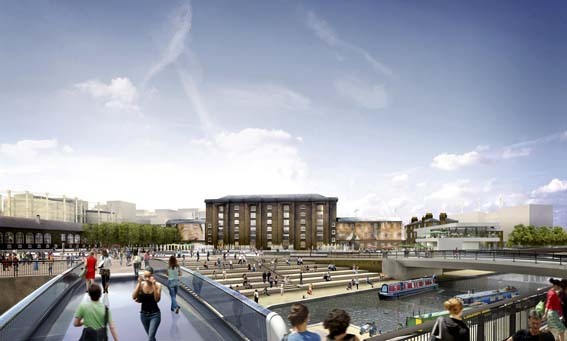 AKT II provided structural engineering for the building, Laing O’Rourke was responsible for the design and engineering completion of the Crick, Turner & Townsend provided cost consultancy on the project, and Cordless Consultants provided IT and AV Consultancy. Both the Project Management and Building Services design for the project were provided by Arup. 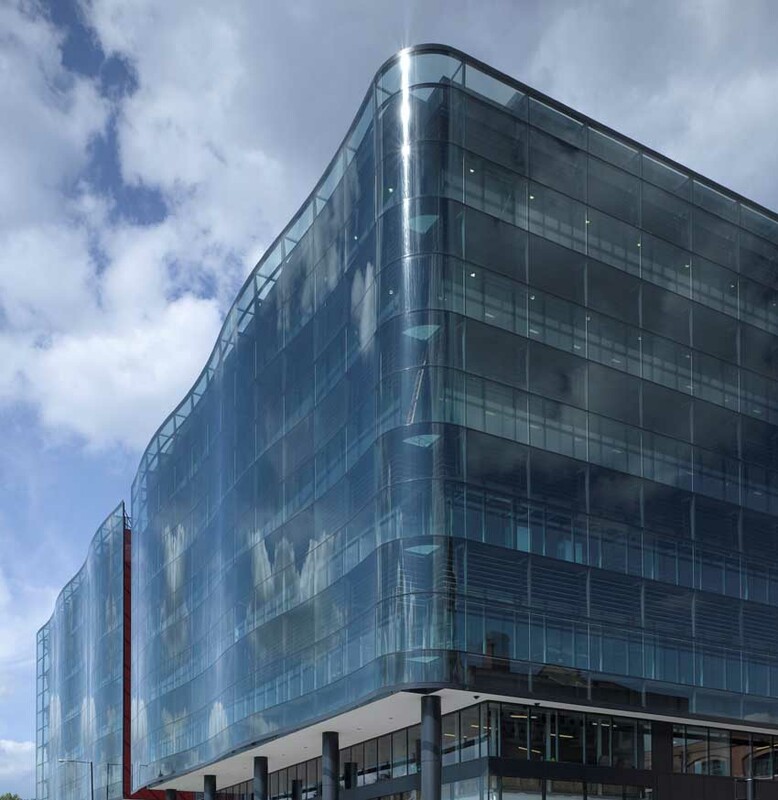 The Project Management team engaged with the Crick’s scientists whilst working with designers and the contractor, to deliver this exceptional building. Arup’s engineering design team had a unique insight into how the complex requirements of modern science would manifest in this elegant and sophisticated building. The challenge was to harmonise various demands, ensuring efficiencies throughout the engineering design process. 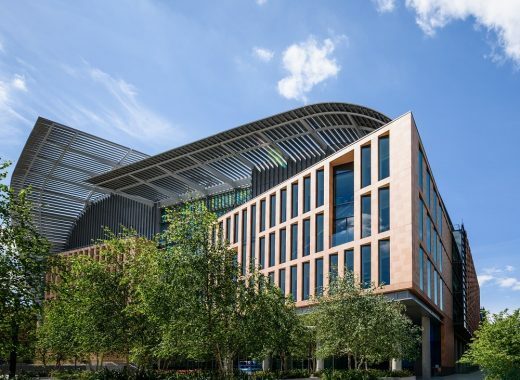 Construction work has finished for the Francis Crick Institute, a centre of excellence in the field of biomedical research, a stone’s throw away from St Pancras International and King’s Cross railway stations. By bringing together scientists from many disciplines, the Crick seeks to improve people’s lives by understanding the biology underpinning human health and diseases. Housing over 1,500 staff, 1,250 of whom will be scientists, countless opportunities will be uncovered that are fundamental to biological discoveries in health and disease. 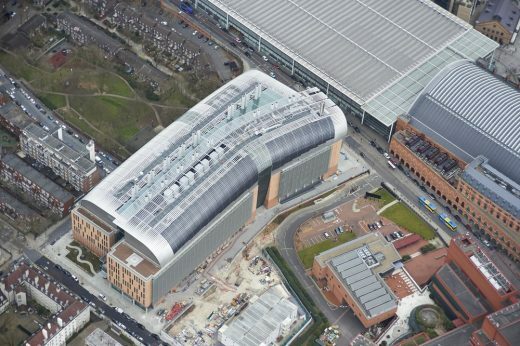 The Francis Crick Institute will be one of Europe’s largest centres of biomedical research. 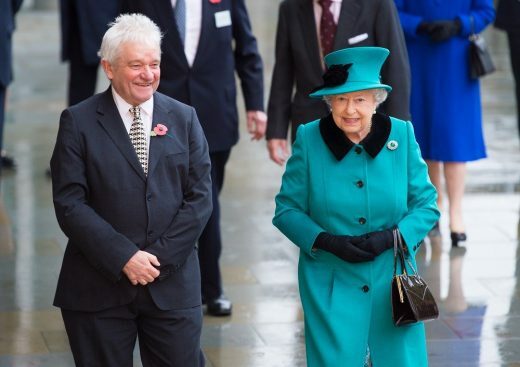 The founding partners have invested circa £650 million to establish the institute. 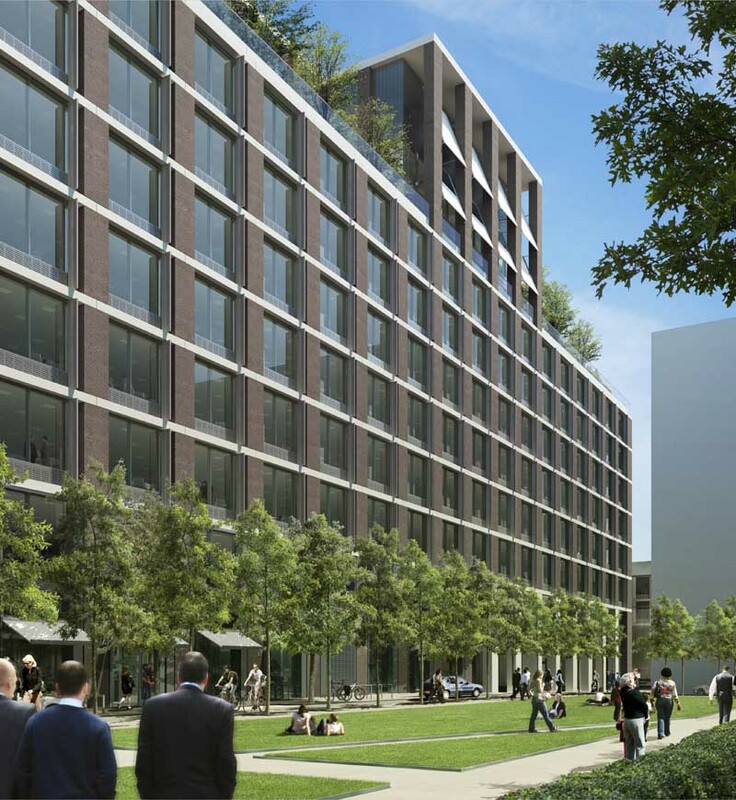 HOK, as lead architect, lab planner, interior designer and landscape architect worked with PLP Architecture, on the architectural design for the 980,000 sq. ft. flagship building The building form is arranged as four ‘laboratory neighbourhoods’ across three floors connected by two atria and multiple communal breakout spaces, to foster interdisciplinary collaboration. The workspace is spread across seven floors in total, designed to be highly flexible, responding to the changing needs and rapid developments of scientific discovery. 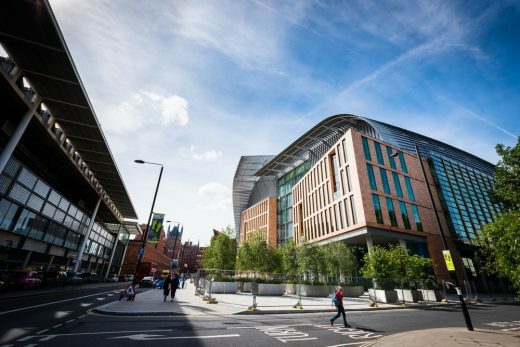 “In every sense possible, collaboration and teamwork have been essential to the long-term success and delivery of the Francis Crick Institute. Unlike traditional institutional approaches of closed doors and high walls, science is firmly on display, both inside and outside the building. Openness is celebrated with the overlapping floorplates and bridges, designed to encourage creative interaction through incidental meetings of opportunity, as much as practical circulation,” commented David King, Director and Senior Vice President, HOK. With flexibility a key driver, AKT II’s design for the reinforced concrete frame was enhanced to minimise the sensitivity to vibration across the whole building. This was further refined by unique research into the structural behaviour of prefabricated concrete frame elements, allowing the benefits of offsite manufacturing to be realised. This created the opportunity to expose some of the precast panels as part of the internal architectural language. “Looking back it is clear that the collaborative knowledge sharing and applied science research principals, were embodied in the interdisciplinary design and construction of the Crick; a metaphor which should be promoted by our industry” stated Rob Partridge, Director at AKT II. 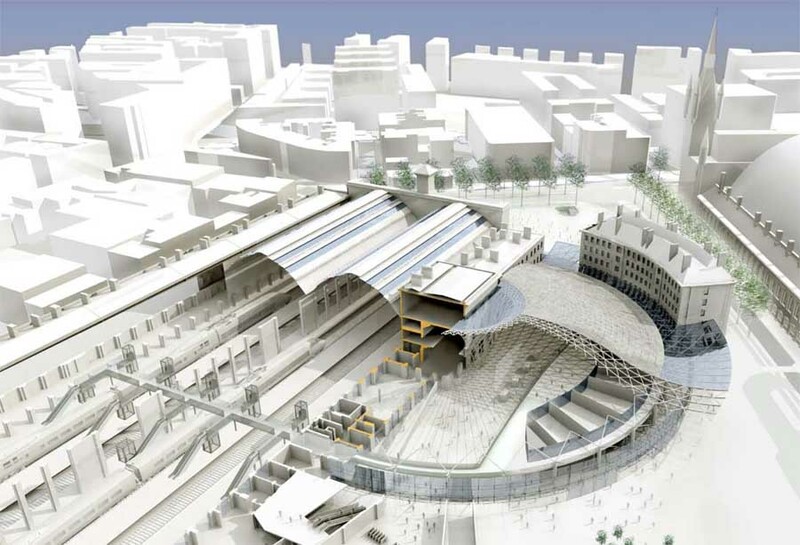 Arup’s Project Management team also developed the procurement route, allowing enabling works to the basement construction to commence ahead of the original programme. “Having had the rare opportunity to work on the project from its inception to completion, this experience has been immensely fulfilling. Working through the complex technical challenges and now standing in front of the completed building is truly rewarding.” stated Blair Gray, Senior Electrical Engineer, Arup. High vibration resistance required for laboratories containing sensitive equipment was extended to all research spaces in order to provide greater adaptability for future use. High rates of air change requested for laboratories were reduced to manageable yet perfectly adequate rates. The Francis Crick Institute is the first laboratory, and one of the first buildings of any type, to be subject to the latest (2010) UK energy regulations. This has led to approximately 25% reduction in carbon levels; and achieving ‘Excellent’ BREEAM rating. Laing O’Rourke utilised ‘Design for Manufacturing Assembly’ (DfMA), to deliver the core facility and its shell, as well as the general and laboratory fit-out works, and the commissioning and verification of systems that meet scientific standards. “This was a complex project to deliver, something that’s been achieved using a mix of both on and offsite solutions. It has been a true blend of the two approaches with 45 per cent of the final asset delivered using DfMA (Design for Manufacturing Assembly). 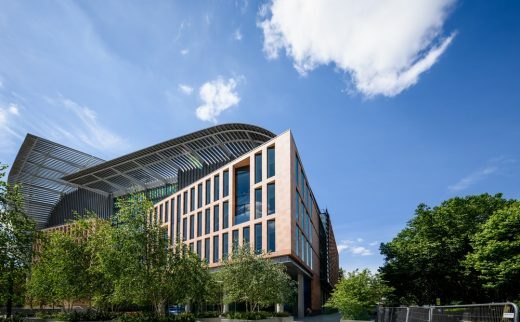 The Francis Crick Institute is at the forefront of global biomedical research and we are incredibly proud to be handing over a facility that we believe is befitting of such an iconic institution,” said Neil Smith, Project Director, Laing O’Rourke. Science and research facilities have a high demand for IT and AV. Cordless Consultants has been engaged for the last seven years to design and oversee the implementation of technology to meet this demand. A key strategy for the institute is to provide a highly collaborative environment for the scientists to engage with each other and help achieve more with their research. 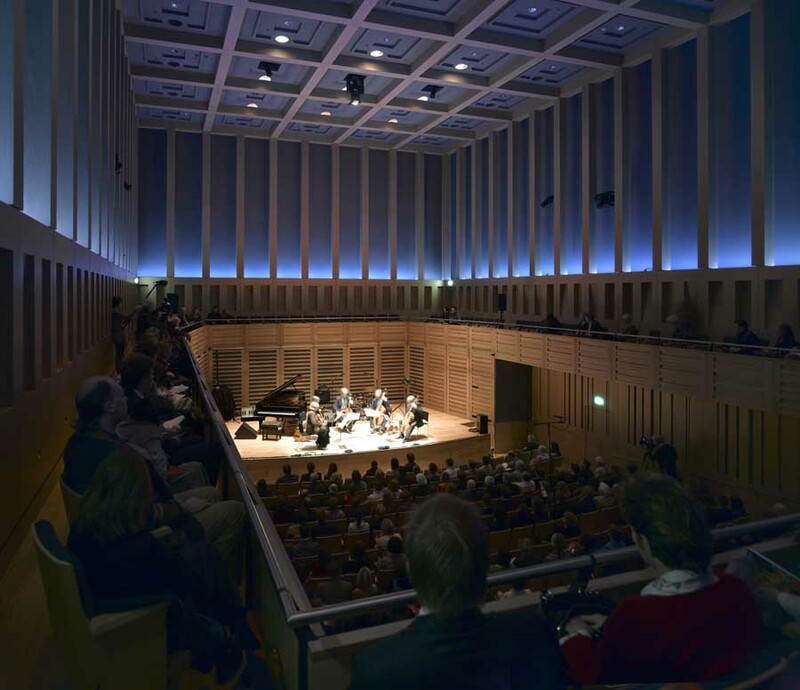 In seminar rooms, meeting rooms and across the institute, Audio Visual systems provide video and audio conferencing, Smart Boards and presentation solutions; and the 450-seat auditorium has full AV facilities. 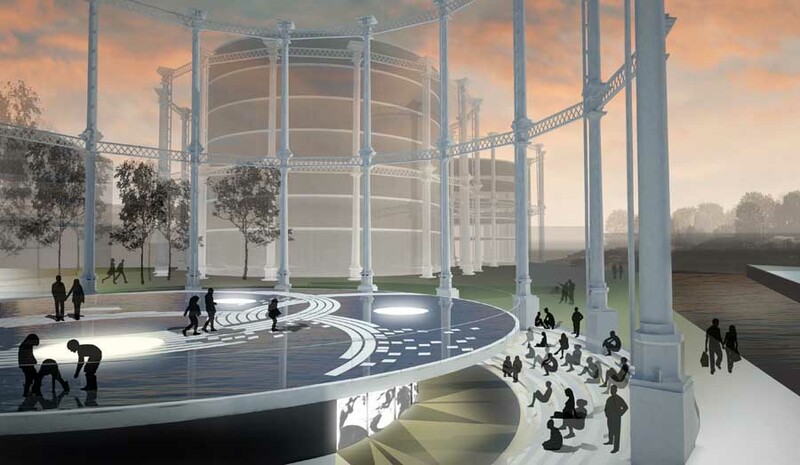 “This is a once in a lifetime project and the Cordless team is looking forward to seeing the Francis Crick Institute scientists transition into the building, transforming the facility into a living, breathing workplace. That’s when the real benefits of the technology can start to be realised,” added Darren Scully, Infrastructure Consultant, Cordless. The importance of this building will truly be understood in years to come as ground breaking research continues, contributing to the wellbeing of humankind. The Francis Crick Institute is a new and distinctive biomedical research institute. 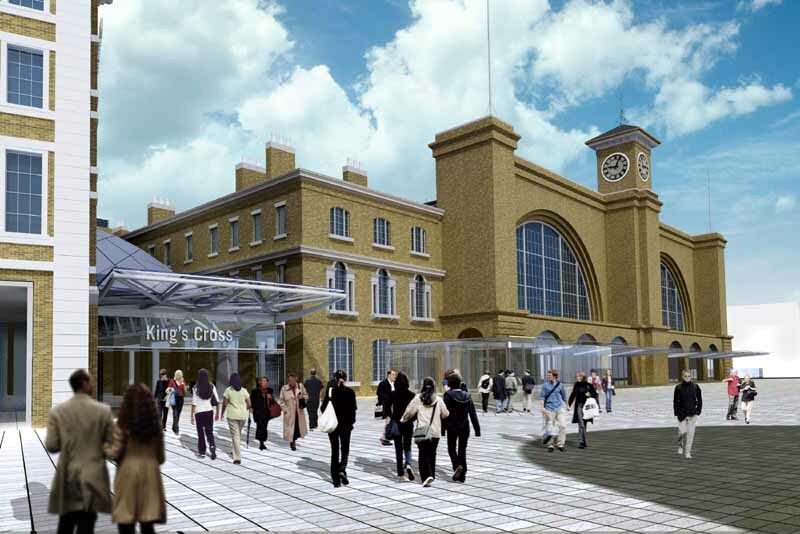 Its scientists will start moving into the purpose-built laboratory in the King’s Cross area of London within the next month. The institute’s work, currently carried out at the Crick’s Clare Hall, Lincoln’s Inn Fields and Mill Hill laboratories, will help to understand why disease develops. The Crick’s aim is to find new ways to prevent, diagnose and treat a range of illnesses such as cancer, heart disease and stroke, infections and neurodegenerative diseases. The Crick will bring together outstanding scientists from all disciplines to carry out research that will help improve the health and quality of people’s lives, and keep the UK at the forefront of medical innovation. 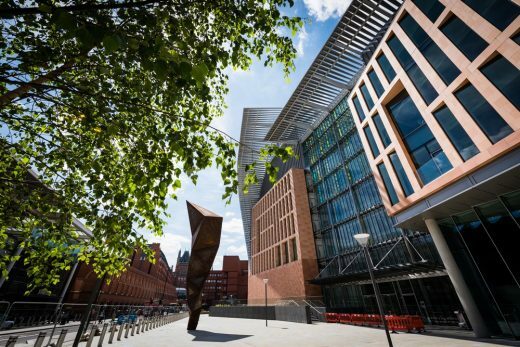 The Francis Crick Institute is a charity supported by the Medical Research Council, Cancer Research UK, the Wellcome Trust, UCL (University College London), Imperial College London and King’s College London.